I love experimenting with statement make up and nail varnish, and I enjoyed doing this. 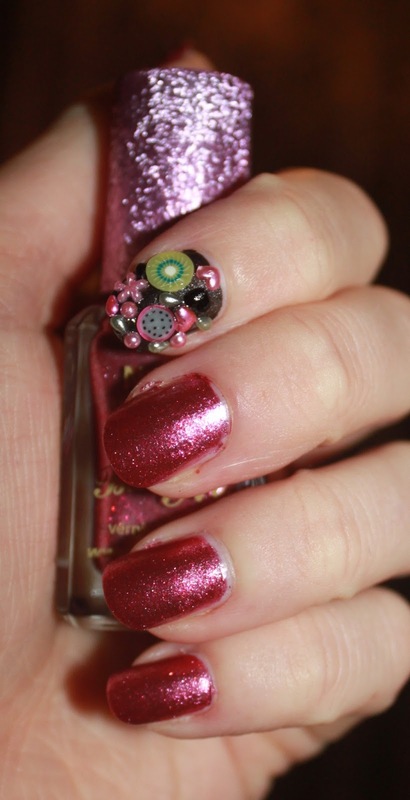 A easy way to make statement nails is to use Nail Art Wheels!! You can get them almost anywhere. Superdrug, Boots, Poundland and Ebay. There are so many wheels you can get and so many colours you can choose - You can really make a look that's unique to you. I used BarryM's Limited Edition pink nail varnish that was available around Christmas 2012. I really loved using this nail varnish - I only needed ONE layer! I then selected one nail to paint black and then used a Nail Art Wheel and tweezers to apply the pieces after applying clear nail varnish when the black had dried. Once the clear nail varnish had dried I applied another layer to seal the pieces. It's as easy as that - and it looks good too! The look isn't for everyone, hence why I chose the one nail. I loved the finish look and I really enjoyed showing it to people, they loved it too!! Such an easy way to make statement nails. Why not try it now! Gorgeous nails! I have never experimented with adding anything to my nails other than varnish and glitter... how long do the pieces usually stay on the nail for? 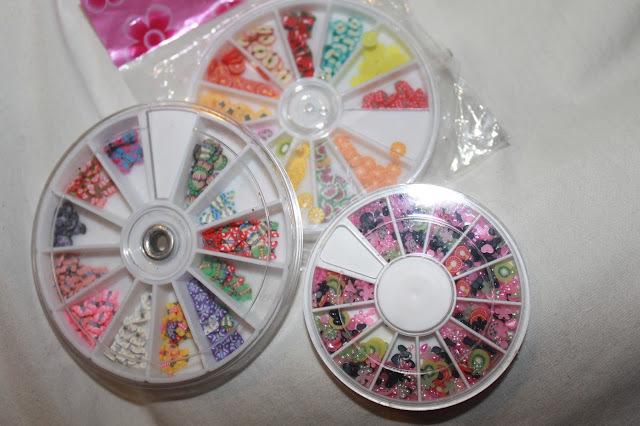 I'm loving these nail art wheels- they look like so much fun.